Early in 2012, a small group of concerned horse lovers began to work with local Animal Control officials to coordinate foster care for horses and donkeys confiscated by Animal Control agencies in cases of extreme neglect or abuse. The mission of All Vegas Horses (and the LEAN=Local Equine Assistance Network program) is to provide temporary sanctuary and rehabilitation for these un-owned horses, and then to adopt them to pre-screened, appropriate new homes. Our foremost concern is for the horses that are brought into the County holding pens who are confiscated by local Animal Control agencies or found running loose. L.E.A.N. does not take horses from private parties, only Animal Control agencies. There is no adoption program in place for these animals (as exists for small animals) and County funds are tight for feed and care of large animals. Because these particular horses are un-owned, they have no advocates who might find them a better life….until now. All Vegas Horses seeks to provide immediate sanctuary for adoptable animals through our network of established and pre-inspected foster homes. We have worked since early 2012 to establish relationships with the cities of Las Vegas, Henderson, and North Las Vegas, plus Clark County Animal Control and the Nevada Department of Agriculture to help with the burden of re-homing these horses by organizing foster care, raising funds for medical care, and campaigning for adoptions. Our efforts have been enthusiastically received by all agencies. After carefully screening and accepting an adoption application, All Vegas Horses will continue to stay in contact with owners of the animal in its new situation as is outlined in the Adoption contract. Should the new owner decide at any time that they are unable to continue with proper care, the horse will be returned to our L.E.A.N. program. Animals deemed too old or injured will be adopted out as companion animals only or will remain in L.E.A.N.’s care indefinitely. Our program uses a network of volunteers to help locally foster, retrain, and rehome our horses, as opposed to our having a physical ranch sanctuary. We’ve found that horses placed foster care do very well – the barn members share in feeding, bathing, brushing, fussing and helping to comfort these wounded souls. These horses are recovering remarkably well and many are networked to adoption by those helping tend to them. Those interested in volunteering with All Vegas Horses must complete a Volunteer Application, where they can select from a variety of interests and ways to support the program (from hands-on fostering and training, to fundraising and marketing, etc). Those interested in providing foster care for a horse must complete an additional application and have their facility inspected for safety and appropriateness. All Vegas Horses provides feed, farrier, and medical care for all foster horses (unless the foster opts to donate such) until the horse is permanently adopted. Hundreds of volunteer hours are spent each month by Board members and volunteers. Each foster horse requires regular daily care, and those with medical issues require advanced care. Animals signed into the L.E.A.N. program are legally owned by All Vegas Horses which assumes all responsibility. In addition to physically caring for the animals, Board members and qualified volunteers donate their time in other ways including, but not limited to: barn inspections, shuttling supplies, hosting events, fundraising, networking, grant-writing, and soliciting sponsors. A goal of All Vegas Horses is to help share options available to the struggling horse owner, provide information to potential new owners, and also convey the importance of sterilization. We continue to educate on how to Own Responsibly and distribute literature provided by the Unwanted Horse Coalition, as well as our own program information. Part of the reason for so many unwanted or neglected horses is that new owners don’t understand the expense and time commitment involved with horse ownership. Feed, farrier, medical, transportation, equipment, unforeseen emergencies, boarding and training can be sadly underestimated by someone excited to purchase their first horse. With cheap livestock available everywhere, the new owner doesn’t understand the resources needed to adequately support their new pet. We seek to educate new horse owners of what to expect through material distribution and highlighting our rescue horses to the community through social media. Our goals include prevention through education, thereby reducing the need for intervention. We reach a broad base of local supporters through our website, Facebook pages, and monthly newsletter. We have also been featured on our local Channel 13 News and we receive a section in the local tri-state equestrian newspaper (the Valley Horse News) where we post two horses each month. 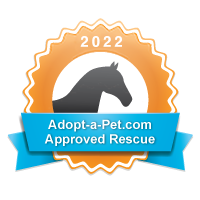 We also submit a horse for adoption to the Las Vegas Pet Scenemagazine. We have a Twitter feed, Instgram account, YouTube channel, and are networked through Petfinder.com, Adopt-a-Pet.com, A Home for Every Horse (Equine.com), and a variety of other horse-oriented websites. PURINA and Thrive are feed sponsors for LEAN. Pictures tell a compelling story and much of our impact has been through a photo-chronology of each rescue horse from Day 1 through its rehabilitation to adoption. Through our Facebook page “LEAN Horses”, followers can see photo updates and progress, plus when a horse is finally ready for adoption. Shorter individual bio’s and photos are also available at the website for those not on Facebook. These include Success Stories and our Senior Sanctuary. In 2013 we conducted the first-ever equine castration clinic in southern Nevada, and another in 2014. We are proud to have launched this program for our local community. Since then, the local equestrian hospital Desert Pines Equine Clinic continues to hold clinics in conjunction with Dancer’s Legacy, to help reduce the number of unwanted breedings. Over 20% of horses taken into the LEAN program its first year were unpapered stallions. All Vegas Horses does not adopt out intact males so part of our medical expenses have been for sterilization. Feed or medical stipends, part of generous support we receive from The Harris Foundation, are now in place for owners who have short-term financial problems. An application and approval process is available for consideration of supplemental feed for their horses on a limited time basis. Credit for hay would be issued to their supplier based on qualification to help owners be able to keep their animals in place. Funds are also available for support of overdue medical care, farrier, or dental work, or emergency euthanasia. These would be paid directly to the service provider upon approval of the Assistance Application. This acronym stands for “Has A Horse/Needs A Horse” – our database of people who either have a horse they can no longer keep, or people seeking a horse for which LEAN does not have a good match. Being able to match these types together results in more horses being placed into new homes before neglect or abandonment can occur. An easy online application for horse owners is available at our website’s Rehome Your Horse tab.